As an expert in commercial roofing in Richmond, VA, we provide a wide range of high quality roofing products and solutions for your building. 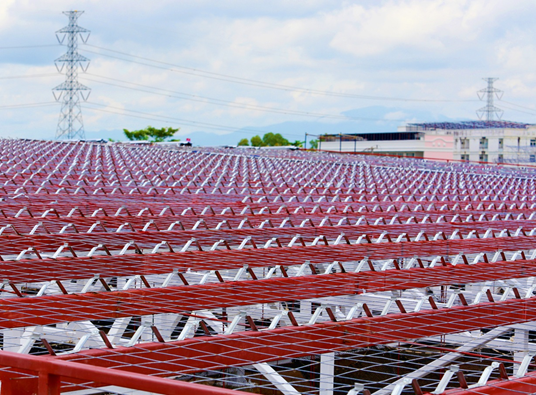 We can install, maintain, and repair Thermoplastic Polyolefin (TPO) and Ethylene Propylene Diene Monomer (EPDM) roofs. 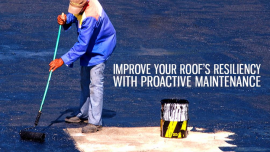 We can also use elastomeric coatings to solve roof leaks effectively. We can also use roof coatings to increase the system’s service life, reducing the amount of discarded roofing materials for landfills. As the leading commercial roofing contractor in Richmond, VA, we also provide full commercial roofing services. We can replace your existing roof if necessary, implement a proactive maintenance program, and repair any kind of roof problem. We are also a storm damage expert; we can help your roof deal with challenging weather conditions. Our expertise extends to all kinds of buildings. We have worked on commercial buildings, shopping plazas, and medical establishments, among others. 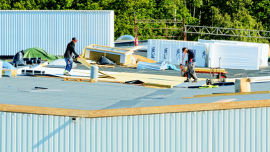 We also have a lot of experience in commercial roof installation and roof repair in Richmond, VA. We have over two decades of credible experience in the commercial roofing industry. We’ve worked on hundreds of projects and provided solutions for a diverse range of premises. Our level of experience means we can anticipate and prevent problems before a project even begins. We also know how to evaluate a roof’s condition correctly and recommend the best possible condition. 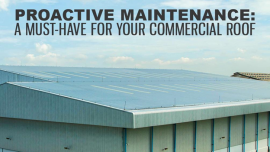 American Enviromental Service can meet all of your commercial roofing needs. We have decades of experience and can work with many different sites and building sizes. We use only the highest quality roofing products and work with the best professionals in the industry. Customer satisfaction is our top priority. Call us at 1-(804) 585-3035 to learn more reasons to work with us. You can also contact us for an estimate.